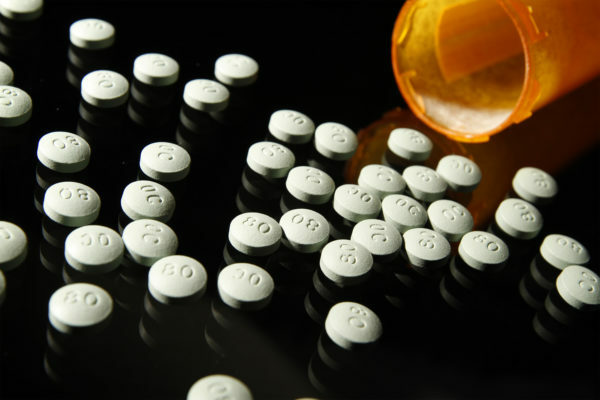 Opioids such as OxyContin, pictured here, have contributed to the rise in overdose deaths. The number of people who died by drug overdose in the U.S. spiked in 2016, underscoring the severity of a public health crisis that has torn through the country, killing record numbers of Mainers, according to a new report. More than 64,000 Americans died by overdose in the first nine months of 2016, compared with the record number of 52,404 people who overdosed in all of 2015, according to estimates released Tuesday by Centers for Disease Control and Prevention. The drug overdose death rate was 19.7 per 100,000 people in the third quarter of 2016, compared with 16.7 per 100,000 people during the same period of 2015, according to the new CDC data, processed by National Center for Health Statistics. In 1999, the drug-poisoning death rate was 6.1 per 100,000. The report came in the wake of an interim report by a White House opioid commission, led by New Jersey Gov. Chris Christie, that recommends President Donald Trump officially declare the opioid crisis a national emergency so that federal funds and other resources can be used. Individual state data are not yet available, but Maine was one of six states and New York City featured in a breakout graphic about the preliminary data regarding deaths from heroin, natural and synthetic opioids, methadone, synthetic opioids excluding methadone, cocaine and psychostimulants. The Maine death numbers increased in all six drug categories. According to data previously released by the Maine Attorney General’s office, the number of Maine lives lost by overdose jumped to 376 in 2016, and 84 percent of those were caused by opiates or in combination with an opiate. More than half of all overdose deaths — or 195 — were attributed to fentanyl, an opiate that is up to 100 times more potent than morphine which drug dealers add to heroin to make it stronger. A total of nine Maine deaths were linked to fentanyl in 2013. Only about 2 to 3 milligrams of fentanyl, or what would look like 5 to 7 grains of salt, are enough to cause a fatal overdose, according to the U.S. Drug Enforcement Administration.